Healthy herbal teas are basically my life. I start my day with one, they accompany every meal of mine and I finish my day with one. 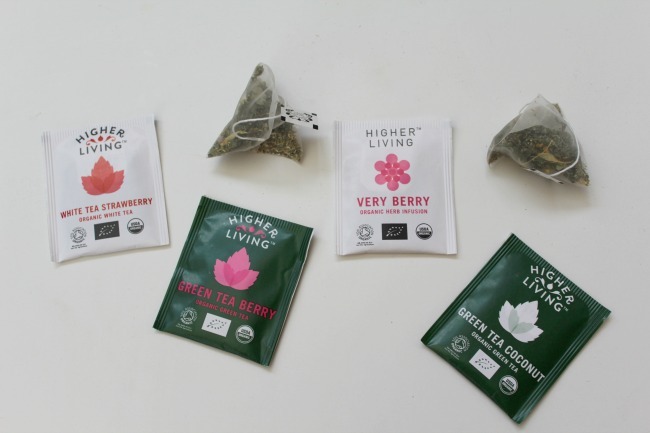 So I was overjoyed to have the opportunity to collaborate with Higher Living Teas. Trying out new teas is a wee bit of an addiction for me (boxes of tea take up an entire shelf in my kitchen! ), so I was super excited to try out five teas I've never given a go before. Despite my rather large tea collection I can be rather fussy - anything spiced, cinnamon-y or aniseed filled is a definite no-go. BUT this little collection from Higher Living Tea turned up a priceless little gem for me this winter: coconut green tea*. This has been glued to my hand - and lips - in my favourite new mug from Tiger all winter. It's totally filling and warming and makes me feel uber snuggly when I sit down with a cup in front of netflix of an evening. The strawberry white tea* was similarly a bit hit on my radar. Clipper seems to have stopped selling their strawberry green tea (why tea gods, why?! ), and this was definitely a worthy replacement. 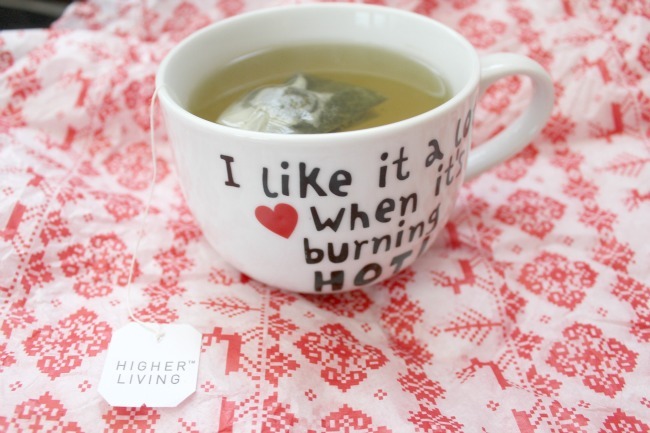 What teas are taking your fancy this winter? The products in this post were sponsored, however all opinions are my own as always. I'm not a big tea drinker but I'd love to try the coconut green tea. I love coconuts right now. I like lemon or mint, the usual. :) Maybe I need to try this strawberry white tea, sounds great! I'm a big strawberry fan so I thought it was really yummy! I'm trying to switch from so much coffee to mostly tea. It makes me feel so much better though I LOVE my coffee. I've never been a coffee fan, but it's so lovely to have a nice hot drink that's pretty much calorie free and good for you!